Complete renovation debris removal. Wood, drywall, carpet and flooring, toilets and tubs, windows, doors, and more. Items are separated and recycled properly. 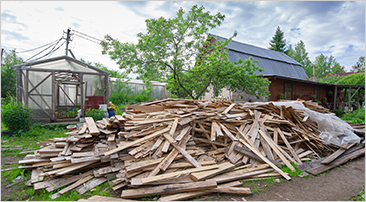 BEE JUNK FREE offers Renovation Debris Removal and other Junk Removal Services to clients across Peterborough, Lindsay, Port Hope, Cobourg, Bowmanville, Courtice, New Castle, Kawartha Lakes, Campbellford, Whitby and Oshawa, ON.